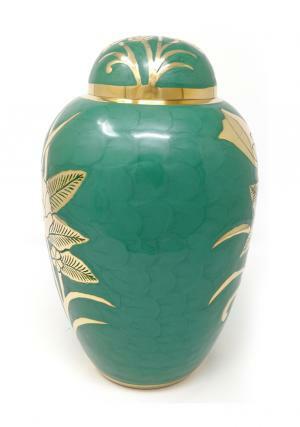 Big dome top green floral adult memorial urn for ashes is presented in a quality of commemoration with solid brass engraved urn. The purity of brass and crafting shows the efficiency on the design and perfection of the skilled people with encrypted art work on the urn. 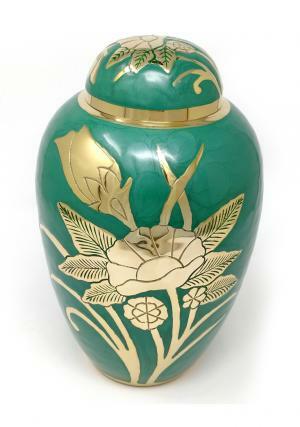 The adult urn has handpicked floral design on the urn as well as on the top of the dome with a gold coating on the brass metal. 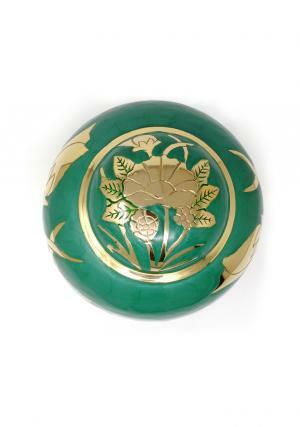 The urn is mixed up with green enamel and well polished brass engraving. 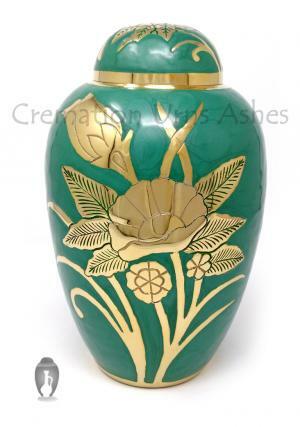 Adult cremation urn can improve the desires of your love to store memorial ashes. An adult memorial urn is capable of holding human memorial ashes in the container. 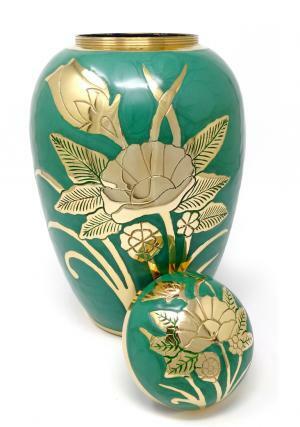 The floral design on the adult urn would match to any interior of the house to decorate. The dome structure acts as a threaded lid on the top for an easy and secured closure or open with a flower print. 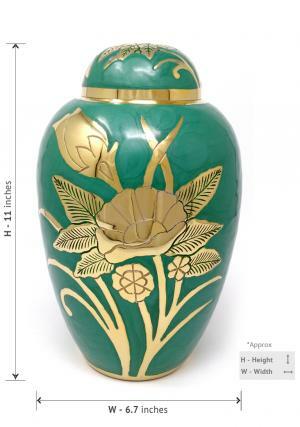 Big dome top green floral adult memorial urn for ashes weighs (approx) 2.2KG and measured to 11 inches tall capable of holding human adult cremation ashes.